Manchester United have evidently been in pursuit of strong midfield reinforcements, and they seem to have wrapped a part of their business up quite early this time around. 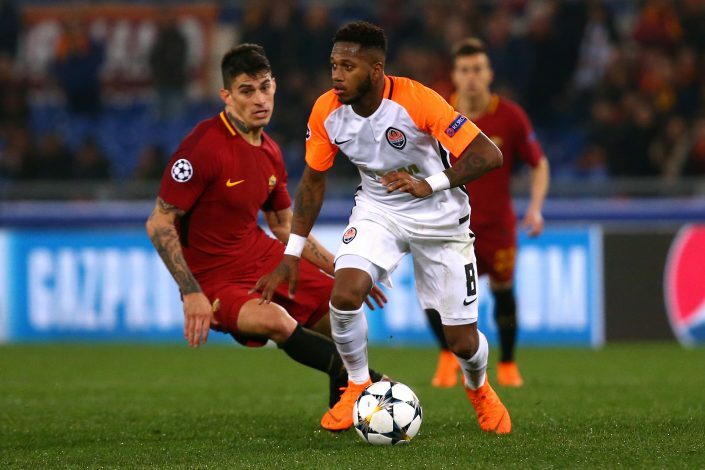 Gianluca Di Marzio – a journalist as reliable as anyone you will find across Europe – has revealed that Shakhtar Donetsk midfielder Fred is all set to finalise his switch to the Theatre of Dreams in the coming weeks. Fred began his career at Brazilian outfit Atlético Mineiro, before joining Porto Alegre in 2009, and finally landing at Internacional in 2010. He progressed through the youth ranks rapidly at the Estádio Beira-Rio outfit, eventually becoming one of their most crucial first-team players. After bagging successive local state titles and the Recopa Sudamericana, he was, like many of his fellow talented compatriots, snapped up by Ukrainian giants Shakhtar Donetsk, where he only continued his impressive trophy haul. Since his arrival in Europe, Fred has won 3 Ukrainian Premier League titles, 3 Ukrainian Cups, and 4 domestic Super Cups. The player boasts of an incredible trophy cabinet already, but he’s far away from being satisfied just yet. Despite being dubbed as ‘the next Fernandinho’ and a potential replacement for Michael Carrick or Marouane Fellaini at Old Trafford, Fred’s playing style is far different from all the aforementioned players. The Brazil international is a left-footed midfield powerhouse who is an excellent tackler, a great passer of the ball, and a world-class dribbler who marauds his team forward through energetic lung-bursting drives. At United, his playing style would resemble that of Paul Pogba, but his best possible description can be provided by comparing him to Tottenham Hotspur’s Belgian midfielder, Mousa Dembélé. The 25-year-old enjoyed a fruitful campaign this term, especially in the UEFA Champions League, which was enough to attract the interest of some of the biggest juggernauts on the continent. He pulled off more successful passes (443), won more tackles (18), and completed more dribbles (23 out of 26) than any of his fellow Shakhtar teammates in Europe’s premier competition. Moreover, he also boasts of the best dribble success rate (88.5%) among all the players who attempted 25+ dribbles in the Champions League this past season – and that includes the likes of Cristiano Ronaldo, Lionel Messi, and Neymar, to name a few. Thanks to his impressive performances in Europe, Fred had also caught the eyes of Pep Guardiola, who wanted to bring the Brazil international to Manchester City in the 2018 January window as a direct replacement for Fernandinho. Despite several sources claiming it was a done deal, however, Shakhtar decided to retain their star’s services to aid their Champions League hopes, and the transfer eventually fell through. With the player now on the verge of becoming a Red Devil, it will be interesting to see what sort of reception he gets in the Manchester Derby next season. Back in 2015, Fred was involved in a huge doping controversy. The midfielder tested positive for diuretic hydrochlorothiazide during the 2015 Copa America, for which he was handed a lengthy 2-year ban. The ban lasted between July 2015 and July 2017, and while he initially sat out just for the CONMEBOL matches, FIFA later extended his punishment to a worldwide ban, which resulted in the player missing four months of club-level games as well. Following the FIFA 18 World Cup update, Fred has been handed an upgraded rating, with his overall going from 80 to 81. The central midfielder, who is very much a part of Brazil’s 2018 World Cup squad, also boasts of 84 sprint speed, 86 short passing, and 84 ball control, but his most impressive stat is his stamina, which stands atop at an unbelievable and unparalleled 99! Manchester United faithful shall definitely enjoy watching their new signing play the beautiful game, on the literal pitch as well as the virtual one. 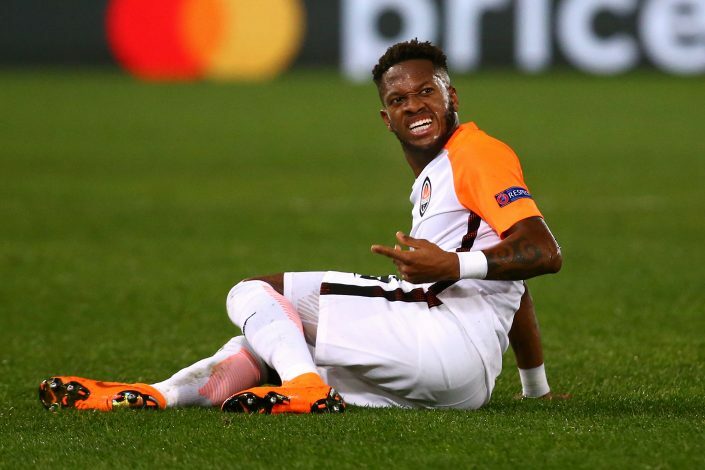 It’s almost a no-brainer that a player with the dribbling and tackling ability of Fred will be a guaranteed starter at the Mancunian club, considering the other dwindling central midfield options at Jose Mourinho’s disposal. 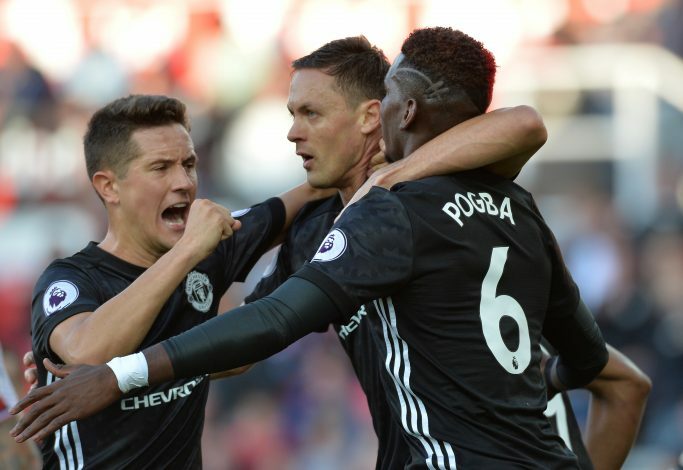 This transfer shall aid Paul Pogba slot into his preferred left-sided midfield role, with Fred occupying the right-sided position, and Nemanja Matic sitting just between the dynamic duo, thereby forming an extremely effective three-man central midfield. With Fred’s arrival, it would a safe bet to dub this Manchester United midfield as the best combination Old Trafford has witnessed in several years, possibly since the Sir Alex Ferguson era. Fred is a timely acquisition and I wish united all the best of luck. I have been following manutd since 2003 and the main problem I suspect is a stable defense.